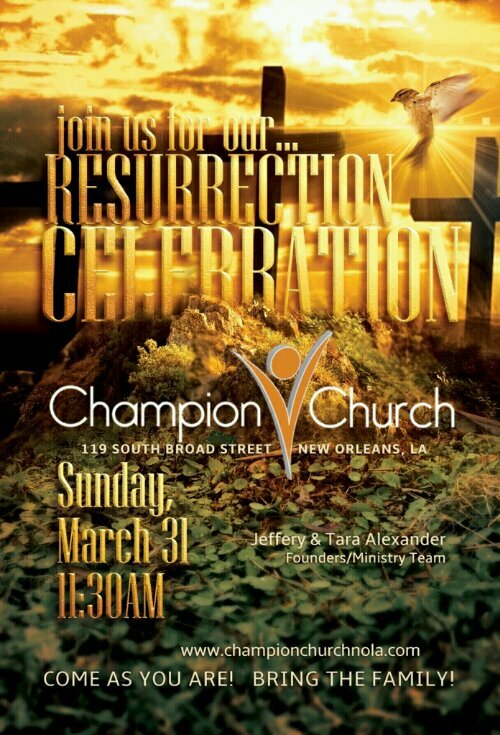 Join Us for Our Resurrection Celebration!! 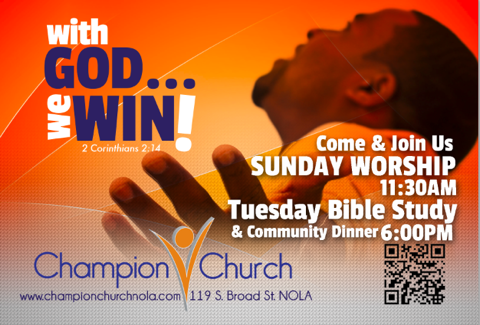 Come worship with Us!! Sundays at 11:30am! Launch Week is Almost Here!!! Get Ready New Orleans!! Come be a part of the solution! We’ve been serving Mid-City since January 2009. After years of weekly outreach, we’re making another step in helping to bring healing to our community. 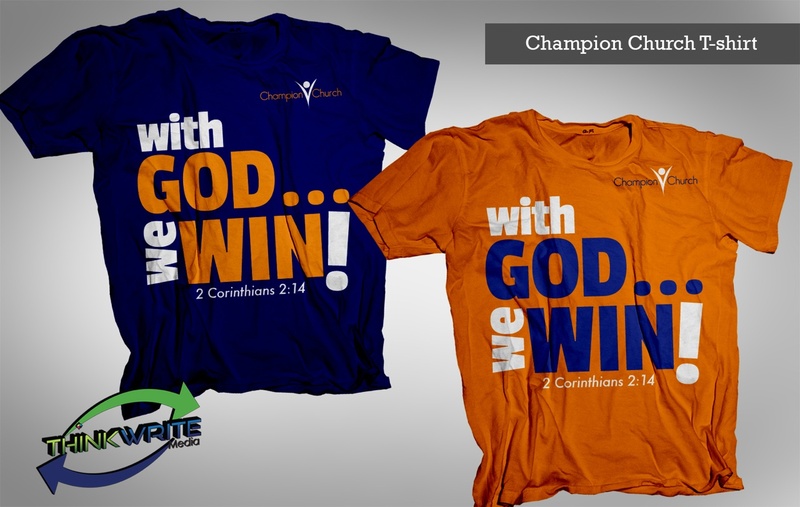 Join us on February 17th-20th as we launch a new ministry. Champion Church is birthed to give the people we serve a stable and familiar place to worship and grow in grace & purpose. Thank you to all of our family and friends who prayed with us through the years. We’ve seen lives changed and want to see God do even more. 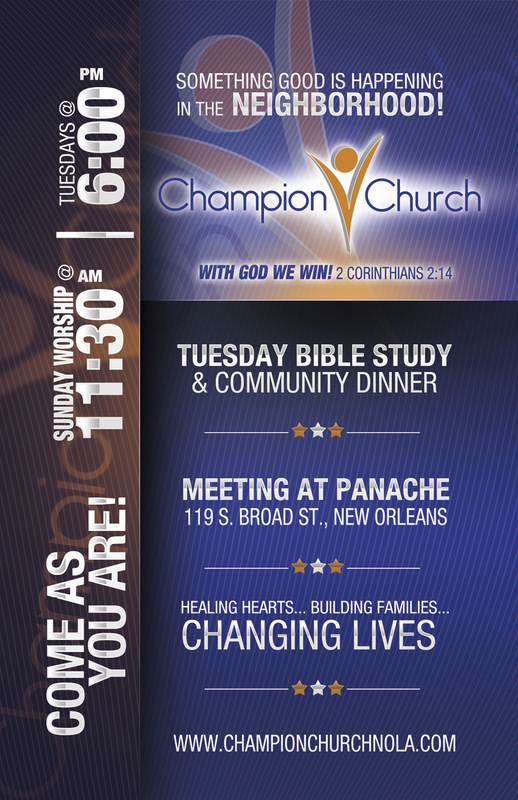 Meet us for Launch Week at Panache 119 S. Broad Street in New Orleans. It’s all about Him and all for Him!! 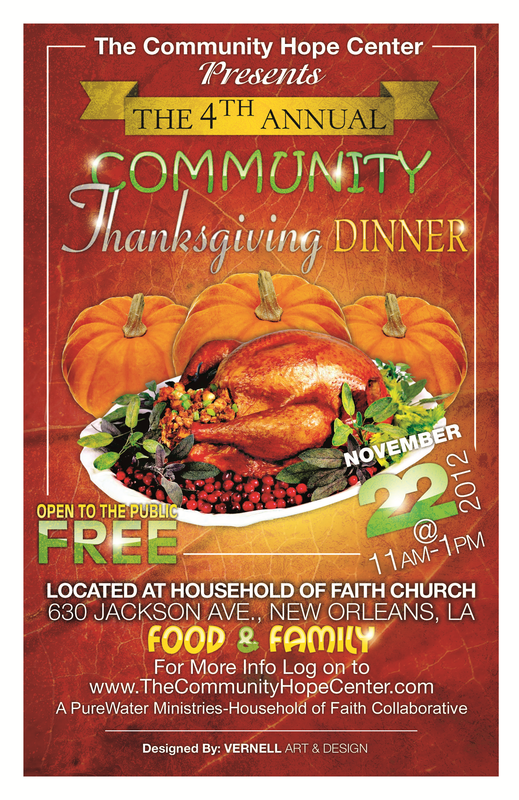 Join us for the 4th Annual Community Thanksgiving Dinner!!! SCHOLARSHIPS NOW AVAILABLE!!!! It’s Not Too Late to Register!! Looking for talented youth ages 6-17!!! The Judah Academy – Spring 2012 features some of the most dynamic and dedicated teachers/coaches. We’re looking for talented young people who want to study vocal music/drama, drums, dance, keyboards and/or guitar. Session is held from March 31st-June 1st. Saturdays from 12noon-2pm at HOF Uptown 630 Jackson Ave. If your child is interested please register now!!! $35 Reg. Fee and a one-time tuition fee of $150. Scholarships are available. Limited space!! To Register Your Child Contact: Kim Andres at kandres@thecommunityhopecenter.com . Special Workshops include: Songwriting, Music Biz for Teens, Sign Language & More!! So proud to have finished our 10 week CHC Entrepreneurship Initiative!! !Training included developing a business plan (organization, finance and marketing) and each new entrepreneur registering their business with both city and state. 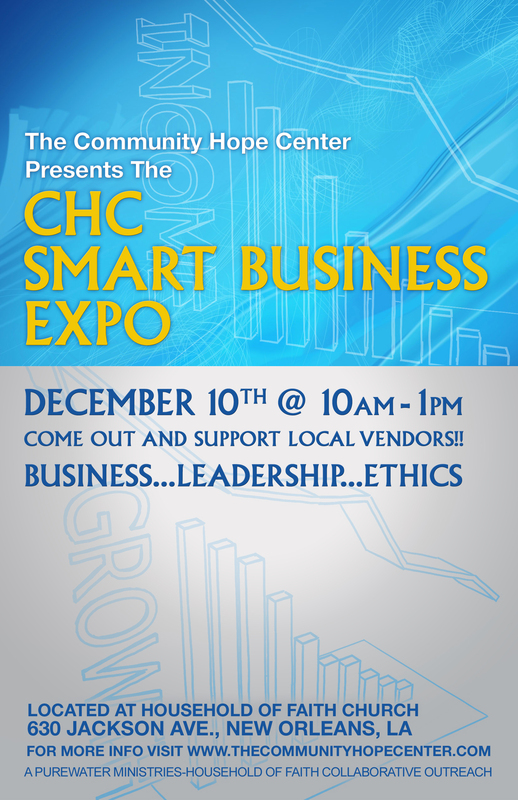 For our closing event , we sponsored the CHC Smart Business Expo to give our entrepreneurs an opportunity to exhibit their products and services to the public. At the expo we presented 16 new businesses to the community and gave away a total $5500 in cash and prizes to the top 3 entrepreneurs. Our sponsors included Liberty Bank, Quick Courier Services & Michelle Craig of Adams & Reese. The official photo was taken by one of our featured businesses, Byrd’s Eye View Photography. Come support our participants of the CHC Entrepreneurship Initiative!! We have been in classes for 10 weeks and the expo is our culminating event. Come out and see the new entrepreneurs of New Orleans!! Saturday, December 10th at 10am-1pm.